Is white the absence of color? I heard someone ask this question the other day, and it really made me think. 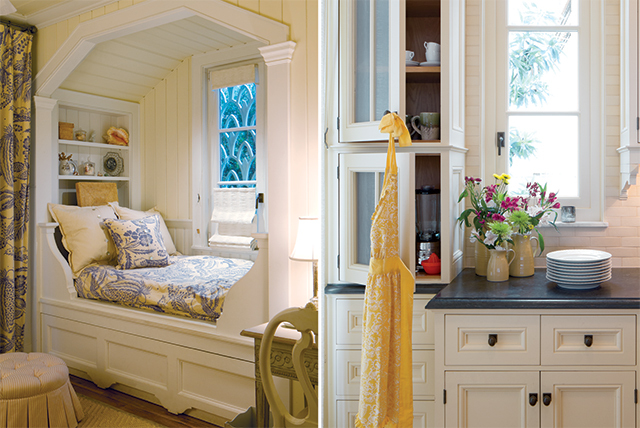 It was prompted by the delivery of our new book, Cottage Style: A Palette of White. When I was growing up, white was significant in so many ways. You could not wear white shoes before Easter of after Labor Day. Why? It was just because Mom said so. It was tradition. It was also wonderful when you were old enough to wear white gloves to church. And let’s not forget those evening gloves that went just past the elbow with the tiny pearl button at the wrist. I will always cherish the tiny strand of white pearls Mom and Dad gave me for Christmas when I was a teen. White to me is a very inspiring color. Crisp-white linens on the beds are beautiful, and white towels hanging in the bathroom are very refreshing. White china with carefully pressed white napkins at the side is always elegant. White-on-white monograms are always fashionable and look perfect at the table. As I was turning the pages of the book, I came to the section where my son Eric and his wife, Katie’s, house was featured with the title “Shades of White.” The lovely white cabinets and white tile in the kitchen and dining area is very serene. I thought it was brilliant. They love to entertain, and the white is the perfect color for this room. The centerpieces they use are varied in color depending on the occasion. The white showcases their color choices for events. 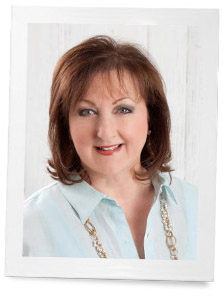 Another section I loved is the feature on Diana Hansen of White Flowers. She and her husband, Eric, live in a beautiful all-white house. It is breathtaking with the monochromatic colors throughout. You will get great decorating ideas from this book, just as I have. 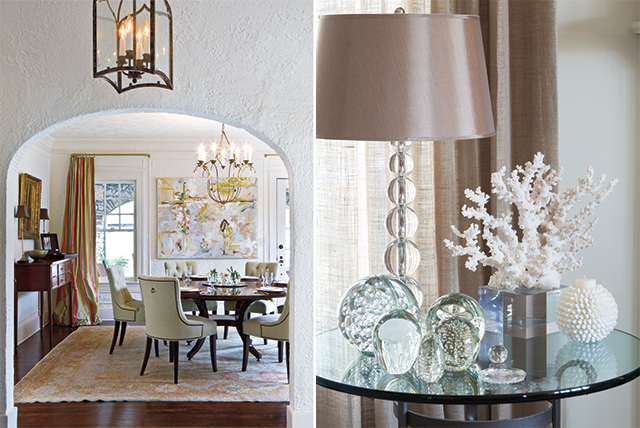 White is the perfect color when you are looking for a refreshing way to brighten your rooms. So I pose the question to you: Is white a color or the absence of color? Freshening with Farrow & Ball’s White Tie now. 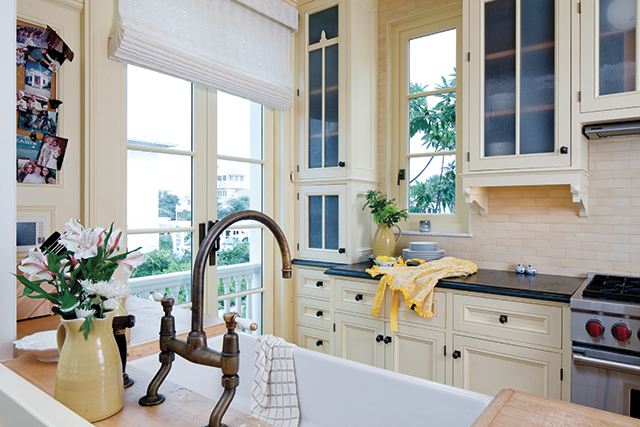 I am drawn to the differing shades of white – I love vanilla-ice cream white, especially for walls. In my home it shows off the dark woodwork of the windows and doors. White upholstery is fraught with peril, though. But now that the children are out of the house I can indulge in more white! 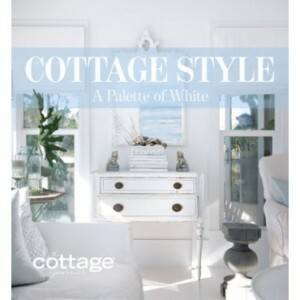 Oh, I love all-white interiors and look forward to seeing your new cottage book! I redecorated our high-rise Master Bedroom in all-white several years ago for a really soft and romantic feeling and it’s still one of my blog’s most visited posts. It was great fun! (I have moved since then.) Love your blog! I don’t care for the beige and brown paints used in so many new homes today. They are too dark, masculine, and muddy, to me. When we elected paint for our new home, I picked antique white for the walls and glossy white for the woodwork. One grandson picked a blue gray for his bedroom, which is restful. Color would be picked up and changed, as desired, with paintings, furnishings, etc. I enjoy watching the changing shadows, shapes, and reflections both inside the house and in the trees outside. The white décor makes the rooms light, airy, and larger. I do like white on white as in dishes, tablecloths, etc. White is not a color, it is a Neutral, along with black brown and gray. I love decorating with white! So, the staples are white and the trends can be added in small excessories. Love the pictures you always share! Nothing is so lovely as white flowers in the garden at dusk. They glow. I have always loved white roses in all their shades. Also gardenias, lilies, and camellias. My last house had an all white garden except one pop of blue. As student nurses, we were taught in order to receive respect, we had to dress and look the part of a pure female, therefor the white uniform. I loved my uniform and cap. Hard work had paid off and when dressed in that very starched uniform, white stocking, white shoes and starched cap, I definitely looked the part. I will forever remember walking into a ward of sick and recovering gentlemen and receiving their smiles and kind words of thanks. I wanted to be a nurse too. I admired the white uniforms, caps, stockings, and shoes. The nurses looked professional. And I could tell where they went to school, what type of nurse they were by their uniform. Now, I can’t tell nurses from doctors, technicians , or whatever. I guess it is more comfortable for them, but I keep calling the nurses, “doctor”! I have to ask what they are! 🙂 I never made it to nursing school, but was a teacher instead. But I did work at a large hospital at one time, until I picked up something and got sick. I was so proud to finally get to wear a lab coat, white stockings and shoes. Shop at White Flowers in Birmingham for the ultimate white experience! It’s amazing! When the subject is LIGHT, black is the absence of all colors, and white is the presence of all colors. So when we are talking about what we see with our eyes, which is the reflection of light, when we see white it is the presence of all colors. When dealing with PIGMENTS, which is what is used to make paints and dyes and everything else all those lovely colors that we talk about, mixing all colors will result in black. (Well, a muddy color that’s close to black, brown or dark grey, but it can be tweaked to as close to black as possible with adding the right blend of blues, reds, or yellows to balance it.) No amount of mixing other colors in PIGMENTS will result in white. Sorry, folks. Yes, my husband, who was an art major informs me that white is the absence of all color. In school they were told to take the color wheel of red, yellow & blue and spin it very fast – low and behold it showed white!!! White is the presence of all colors. And thus, black is the absence of all color. Doesn’t mean that’s what my mind thinks – ha! White is a color. When I think of the absence of color, I think of water. And then water surprises us & reflects colors, thus we see the oceans sometimes dark & forbidding and other times a beautiful, inviting blue. White has been my favorite color since I was a child. My cousins took their First Communion in white dresses, I didn’t take my first communion until I was an adult. My cousins were the one chosen to be flower girls in all the weddings, as I was too young. I became a registered nurse and then I was going to get to wear white, albeit a uniform, but I didn’t care, I finally got to wear my favorite color. So sorry, I always worked in the operating room and wore (Yes you guessed it) green scrubs. I had one more chance, a wedding dress. So when I was planning my wedding I had the white dress picked out. But, a change of plans, as we purchased a house and were being transferred to a different city, it was a Justice of the Peace, and a green dress. I still love white and use where ever I can. Years ago , this fell out of fashion and then came the colored scrubs and various prints . I honestly feel that nurses were more respected and admired wearing white . Whites,creamy shades of beige,shimmers of palest gold and silver,”tone on tone” patterns, etc. White IS a color and speaks of pure elegance and serenity . Always pleasing in a decorating scheme – indoors and outdoors . The many colors of white are so very soothing . After buying set after set of dishes to match new/used houses that we moved into when transferred, I finally gave up and bought all white dishes. These were for everyday and I bought every piece imaginable. For different occasions……..a change of table cloth/place mats/centerpiece……..I was all set. These white dishes matched anything for every occasion. My granddaughter is being married on May 30th and I am giving her all my white dishes. She will be set for the smallest or largest party she ever wants to have. I know I will be where I am until I die and I switched to gold rimmed in brown. It is good for now. My good china is Rosenthal and I will keep it………..as I have the entire set and serving pieces. And the matching Rosenthal crystal. I have my mom’s old silver plate and all together it sets a very nice table. Actually, white is the presence of all colors; a prism is white light until the sun hits it and breaks it into rainbow colors.. These rooms shown in this edition of your blog were lovely. I think black is the absence of color.